The Mormon Youth Chorus, directed by Robert C. Bowden, provided music for the Saturday morning session of the conference. Bonnie Goodliffe was the organist. A Young Women choir from the Murray, Utah, area provided music for the Saturday afternoon session. Vickie Belnap directed the choir, and Linda Margetts was the organist. A combined men’s choir from the Tabernacle Choir and Mormon Youth Chorus provided music for the general priesthood session. Jerold Ottley and Robert Bowden directed the choir, and Richard Elliott was the organist. 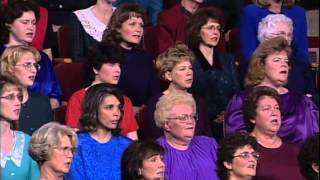 The Tabernacle Choir, directed by Craig Jessop and Jerold Ottley, provided music for the Sunday morning and afternoon sessions. Clay Christiansen and John Longhurst were the organists. 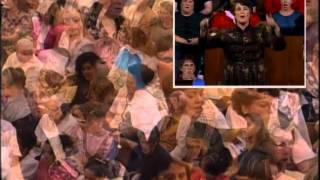 From the November 1998 Ensign — Music by the Mormon Youth Chorus, directed by Robert C. Bowden, with organist Bonnie Goodliffe: “I Need Thee Every Hour” (arr. Bowden, unpublished; Hymns, no. 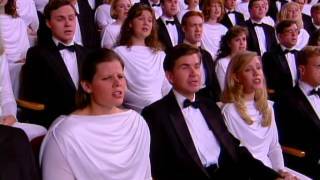 98); “I Know That My Redeemer Lives” (arr. Bowden, unpublished; Hymns, no. 136); “Sweet Hour of Prayer” (arr. Bowden, unpublished; Hymns, no. 142); “We Thank Thee, O God, for a Prophet” (Hymns, no. 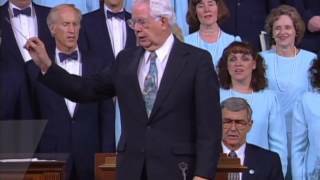 19); “Beautiful Savior” (arr. 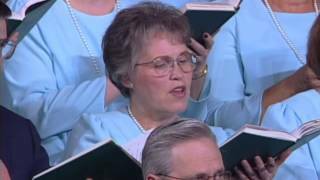 Cornwall, published by LDS Church, Children’s Songbook, 62); “Jesus, Lover of My Soul” (Hymns, no. 102); “Hark, All Ye Nations!” (arr. 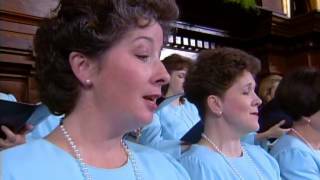 Christiansen and Bowden, unpublished; Hymns, no. 264). 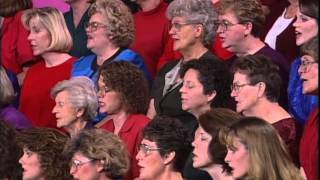 From the November 1998 Ensign — Music by the Murray Young Women Choir, directed by Vicki L. Belnap, with organist Linda S. Margetts: “I Stand All Amazed” (arr. Whipple, Seale, and Gates, unpublished; Hymns, no. 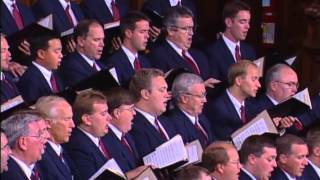 193); “I’ll Serve the Lord While I Am Young” (arr. Margetts, unpublished; The Children Sing , 45); “Now Let Us Rejoice” (Hymns, no. 3); “Sweet Is the Work” (Hymns, no. 147); medley of “Love Is Spoken Here” (Children’s Songbook, 190) and “Love at Home” (Hymns, no. 294), arr. Whipple, Seale, Belnap, unpublished. 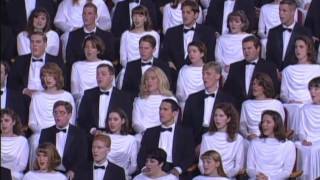 From the November 1998 Ensign — Music by the Mormon Tabernacle Choir/Mormon Youth Chorus Combined Men’s Choir, directed by Jerold D. Ottley and Robert C. Bowden, with organist Richard Elliott: “Come, O Thou King of Kings” (arr. Bradshaw, published by Sonos; Hymns, no. 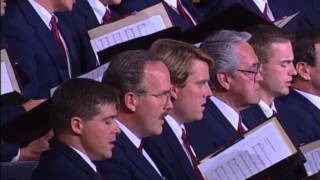 59); “Awake, My Sons, Awake” (Johnson, published by Pioneer Music Press); “Ye Elders of Israel” (Hymns, no. 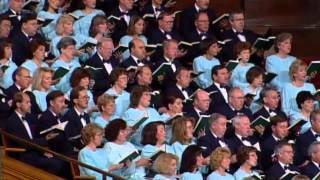 319); “The Lord Is My Shepherd” (arr. Dayley, published by Sonos; Hymns, no. 108). 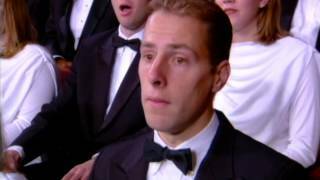 From the November 1998 Ensign — Music by the Mormon Tabernacle Choir, directed by Craig Jessop, with organist Clay Christiansen: “Guide Us, O Thou Great Jehovah” (Hymns, no. 83); “Let Zion in Her Beauty Rise” (Hymns, no. 41); “This Is the Christ” (Faust/Moody, arr. Wolford, published by Sonos); “My Redeemer Lives” (Hymns, no. 135); “How Firm a Foundation” (Hymns, no. 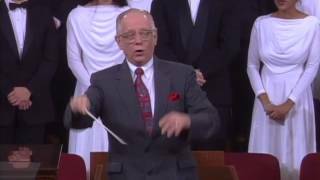 85); “A Child’s Prayer” (arr. Perry, unpublished; Children’s Songbook, 12); “O Thou Kind and Gracious Father” (Hymns, no. 150). 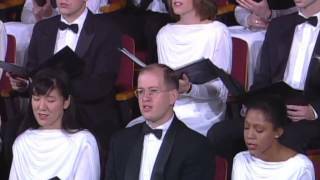 From the November 1998 Ensign — Music by the Mormon Tabernacle Choir, directed by Jerold D. Ottley, with organist John Longhurst: “Redeemer of Israel” (arr. Ripplinger, published by Sonos; Hymns, no. 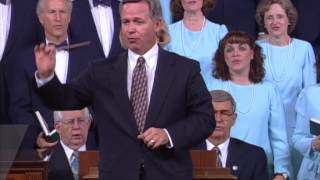 6); “Called to Serve” (arr. Lyon, published by Sonos; Hymns, no. 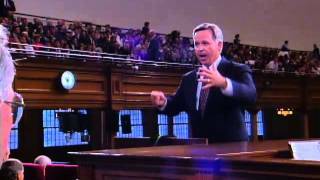 249); “I Am a Child of God” (Hymns, no. 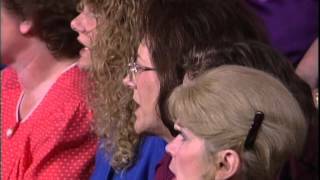 301); “How Gentle God’s Commands” (Hymns, no. 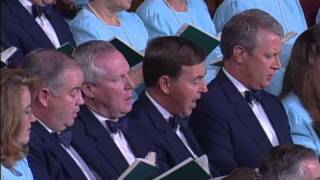 125); “Let My Heart Be Pure” (Bradshaw, published by Sonos); “Lord, I Would Follow Thee” (Hymns, no. 220).